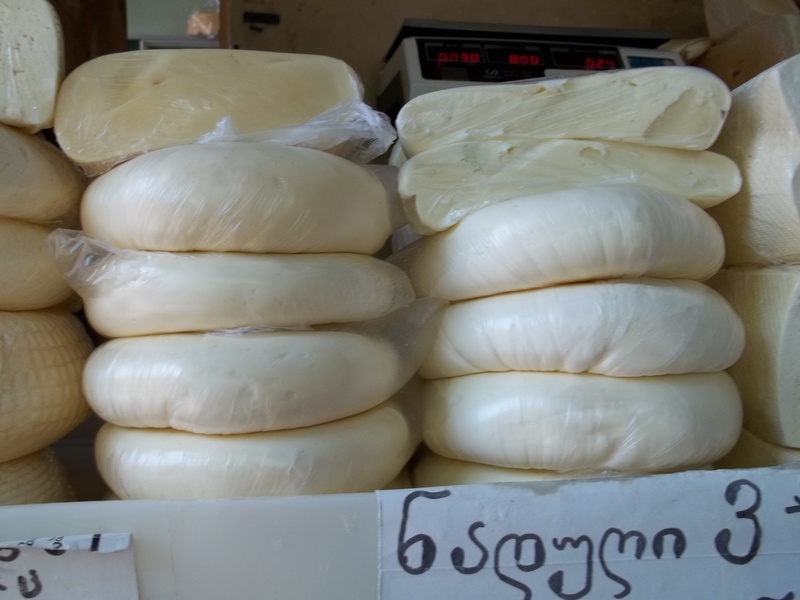 Sulguni (Georgian: სულგუნი) is a cheese from the Samegrelo region of Georgia. It has a sour, moderately salty flavor and an elastic consistency. Sulguni is made using only natural ingredients: normalized cow milk clotted by rennet with pure cultures of lactic bacteria. It is a “quick cheese” maturing in just one or two days. 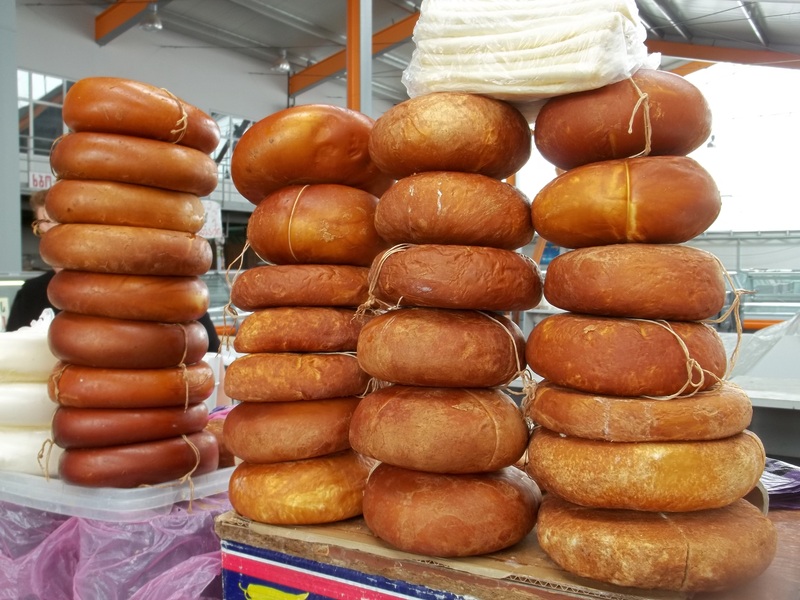 A typical sulguni cheese is disc shaped, 2.5 to 3.5 centimeters thick and up to 1.5 kilograms in weight. Smoked Sulguni cheese has a firm texture and an amazing taste. Georgia About has a number of step-by-step photo recipes for Georgian dishes that use Sulguni cheese. Click on the pictures to see the recipes. Recipe for Baked Mushrooms filled with Sulguni Cheese. 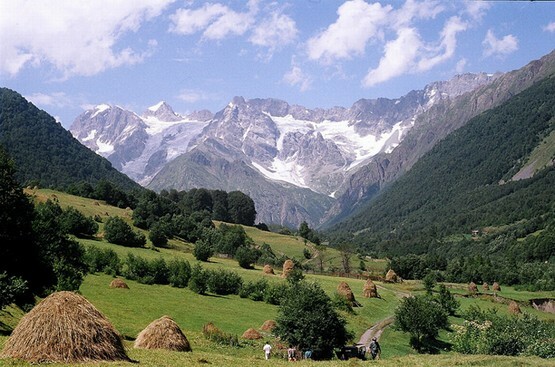 Enjoy Sulguni cheese – a true taste of Georgia! Hi, I cannot be certain but I think it is unlikely that the sulguni you have been given was made with vegetarian rennet. The milk is usually clotted by rennet with pure cultures of lactic bacteria.